The Registered Disability Savings Plan (RDSP) was created by the federal government in 2008. The RDSP is a great way for people with disabilities and disabling medical conditions to become more financially secure. Even people with limited income who are on provincial or other disability benefits can use an RDSP to save for their financial futures. Compare the RDSP to Canada’s other registered savings plans. The RDSP is useful for people with low incomes because the federal government will contribute on behalf of people with family incomes below $43,561 (2013 income levels), even when people make no contributions themselves. The federal government will also make generous matching contributions when people contribute to their RDSPs. Personal contributions of as little as $1,500 a year for 20 years, could produce an RDSP of nearly $400,000 over a 30 year period. An RDSP of this size could generate payments of nearly $1,500 per month for 30 years or more. See our scenarios for more details. People may be eligible to receive a maximum of $90,000 in lifetime contributions from the federal government. Find out about Canada Disability Savings Bonds and Canada Disability Savings Grants. Best of all, an RDSP will not affect most income benefits. This means that when the beneficiary receives a withdrawal from their RDSP, neither provincial disability benefits nor federal benefits such as Canada Pension Plan – Disability, Old Age Security payments and the Guaranteed Income Supplement, will be affected. Provincial disability income benefits (e.g. BC Disability Benefits, Assured Income for the Severely Handicapped, Ontario Disability Support Payments) limit the assets people can have to qualify. They also limit the amount of money that can be received from income sources, such as employment or trusts, before income is reduced. All provincial disability income programs permit people to save in RDSPs and to receive and use funds from RDSPs without reducing their income or restricting what the funds can be spent on. Three provinces – Quebec, New Brunswick and Prince Edward Island limit the amount that people can receive without affecting their benefits. For people 65 and older, funds received from an RDSP will not affect Old Age Security, Guaranteed Income Supplement, Canada Child Tax Benefit, the GST Credit, or Employment Insurance. Learn more about how the RDSP will affect other disability benefits. One of the best things about an RDSP is that anyone can contribute to an RDSP (with the authorization of the holder). 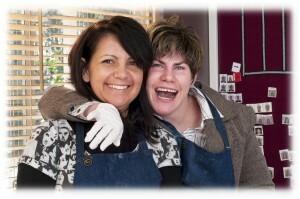 Family, friends, neighbours, charities, foundations, organizations, can all contribute into a person’s RDSP. The federal government encourages contributions through the matching Canada Disability Savings Grants with generous matching contributions. Learn more about contributions. RDSPs can be opened at any of Canada’s major banks and through many independent financial advisors at no cost. See which financial institutions are offering RDSPs. Securing a good life requires more than just opening an RDSP. Financial planning, tax planning, will and estate planning, and making provisions for supported decision-making all contribute to future financial security. The RDSP is just one element.